Netflix has landed yet another high-profile film with David Mackenzie’s period epic Outlaw King, based on the Scottish outlaw leader Robert The Bruce. 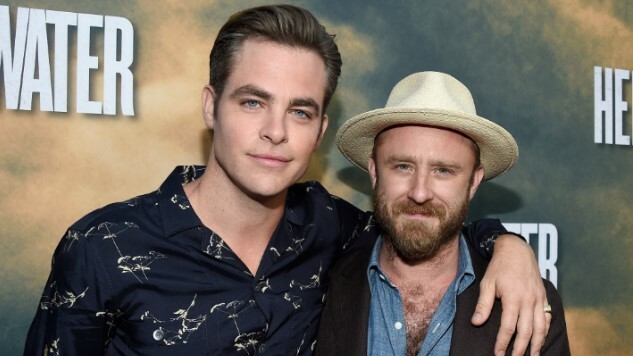 According to THR, best bros Chris Pine and Ben Foster are in talks to join Mackenzie in a sort of Hell or High Water reunion. Outlaw King will tell a different story on Robert The Bruce than Braveheart did, as he didn’t actually betray William Wallace, so this looks to be a more faithful tale to the historical figure. Pine will star as Robert and Foster will play James Douglas, the faithful aide to the Scottish king. And honestly, any sort of storytelling from the trio that brought us one our favorite movies of 2016 is super exciting. As long as things go according to plan, production on Outlaw King should start in Scotland in August, with a likely premiere date set for mid-to-late 2018. Fingers crossed.